(India)Proceed to Mumbai Sahar International Airport to board flight leaving for Melbourne via Singapore. Arrive Melbourne in the morning & after immigration pick up by coach & Take a delightful tour around the city of Melbourne. See its landmarks, gardens, buildings. Experience the beautiful sights of Melbourne, See Parliament House, Rod Laver Arena. See the famous Shrine of Remembrance, an amazing War Memorial. Travel past Port Phillip Bay, Yarra River & the Arts Centre. Lunch & Drop at hotel. Rest day free to explore Melbourne on own. Overnight at hotel. Breakfast at hotel; Experience one of the world's most breathtaking coastal drives. The journey along the Great Ocean Road features stunning ocean views, huge cliffs, raging surf, tranquil bays, towering rock stacks, lush rainforests, laidback coastal towns and maritime villages. Discover the dramatic and rugged splendour of Twelve Apostles. Drive pass the Otways National Parks & Port Campbell National Parks. Ex lunch continue Great Ocean Road Tour before returning to Melbourne. Overnight at hotel. Visit Melbourne Cricket Ground from inside ( subject to availability ) , Enjoy the city tram ride. Proceed to Philip Island. 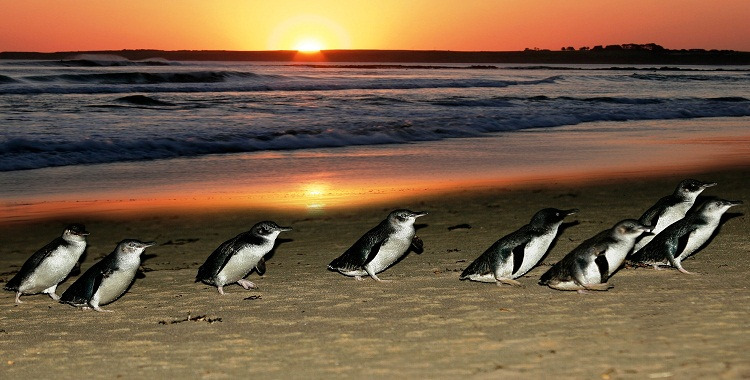 Witness the spectacular world famous Penguin Parade at Philip Island in the evening.Overnight at Melbourne. Breakfast from hotel. Transfer to Melbourne Airport for flight departing for CAIRNS. Arrive Cairns Domestic Airport , pick up by coach & transfer to Kuranda Rain Forest. The Skyrail Rainforest Cableway experience spans 7.5 kms over Australia’s pristine tropical rainforests. Experience the tropical rainforest from a totally unique perspective – aboard an amphibious World War II Army Duck (officially spelt DUKW). As you traverse part of the property on your unforgettable 45 minute rainforest tour, your knowledgeable Duck Captain / Guide will point out and explain ferns, orchids, strangler figs and stinging trees, as well as birds such as the Azure Kingfisher and a host of other animals and reptiles, your Army Duck cruises up to the water’s edge whilst turtles, fish and eels swim up close. Keep an eye out for water dragons or pythons sun baking or slithering up trees. Drive to Cairns. Reach hotel & check in.Evening free. Overnight at hotel. Cairns - Great Barrier Reef. Breakfast at hotel. Transfer to Big Cat Green Island Reef Cruises. Big Cat" is a comfortable air-conditioned 35 metre catamaran with spacious interior cabins and a relaxed atmosphere. 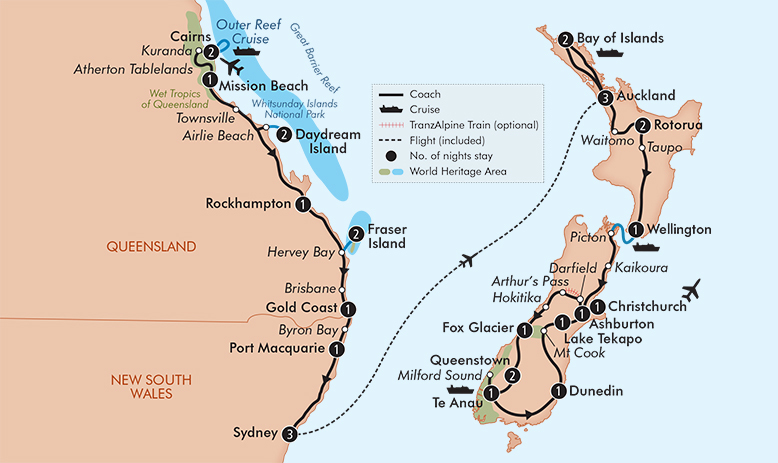 Travel time to Green Island is just over one hour from Cairns. Passengers can take part in the many activities available or simply relax on the beach. Green Island is a beautiful coral cay on Australia's Great Barrier Reef. Green Island is a Marine National Park with unique rainforests, surrounded by white sandy beaches and magnificent coral reefs and abundant marine life. FREE choice of snorkelling gear or a glass bottom boat tour. Evening back to the Hotel. Breakfast from hotel. 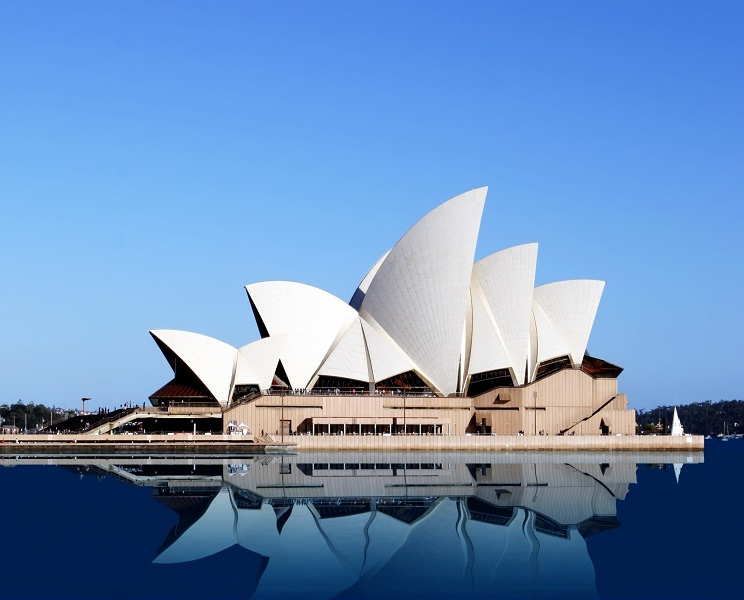 Check out from hotel & transfer to Airport for flight to Sydney. On Arrival we take a City tour starting with Australia's most famous surf beach. In the summer season Bondi is a thriving cosmopolitan centre for sun, surf and fun. City tour includes the Rocks, the Opera House, the Harbour Bridge, Darling Harbour,Chinatown and Cosmopolitan Kings Cross. Sydney Opera Theatre - See inside the world's most recognisable sails. Experience this miracle of architecture and engineering. Our guides will take you on an emotional journey, engrossing you in a story to rival any opera plot with its dramatic twists and turns. Sydney Tower takes you to the highest point above Sydney for breathtaking 360-degree views of our beautiful harbor city. Plus your ticket to the top includes 4D Show. The engaging film experience is taken to the fourth dimension with evocative in-theatre effects including wind, bubbles and fire - a perfect way to get to know the inspiring city of Sydney. Sydney Sea Life Aquarium is located in Darling Harbour, overlooking the spectacular waters of Sydney Harbour.Nowhere else will you find a larger collection of Australian aquatic life with over 12,000 animals including huge sharks and rays, platypus, fairy penguins, crocodiles and much more! Drop at hotel to relax for a while & fresh’n up before Dinner cruise. Evening Cruise Dinner transfer. The Cruise will offer an experience like no other. Be dazzled by their sensational theatre cabaret featuring professional Australian show girls in their glamorous costumes! Join in on the choruses with immensely talented and charming songstress! Revel in the carnivale Harbour cruise atmosphere while enjoying the luxurious comfort of Dinner cruise paddle wheelers. Relish the finest and freshest Indian cuisine. Stay at hotel. Breakfast. Coach pick up commence Blue Mountain Tour. Upon arrival at Blue Mountain , take a tour of Katoomba & Visit Echo Point to see the 3 SISTER Rock Formation .The Blue Mountains was declared a World Heritage park in November 2000. It was nominated for its outstanding natural values, including the biodiversity of its plant and animal communities, its vegetation, which is dominated by Australia's unique eucalypts, and for the beauty of its natural landscapes. Back to the Top by Cable way. Visit the Featherdale Wildlife Park – cuddle the Koalas & play with the Kangaroos. Evening return to Sydney. Early morning, Transfer to Sydney Airport to board flight for Mumbai via Singapore. Arrive Mumbai late evening & after immigration – Transfer to Pune. Tour concludes. Pune - Mumbai - Pune transfers.